When someone asks you what you do, do you answer with “aesthetician” or “business owner”? Maybe you have a bit of a combination answer explaining that you own your own business as a solo aesthetician. While there’s no “right” answer to that question, the label of “business owner” is unquestionably one you need to embrace, not necessarily in how you answer people, but without a doubt in your mindset and perspective. The reason this is so critical is that when you view your work through the lens of a business owner, you make decisions that allow you to work smarter and not harder, which then enables you to stop leaving money on the table. Take my guest on this episode for example. Kimberly is an expert independent hairstylist who also coaches other hairstylists to build thriving careers that fit their vision and values. 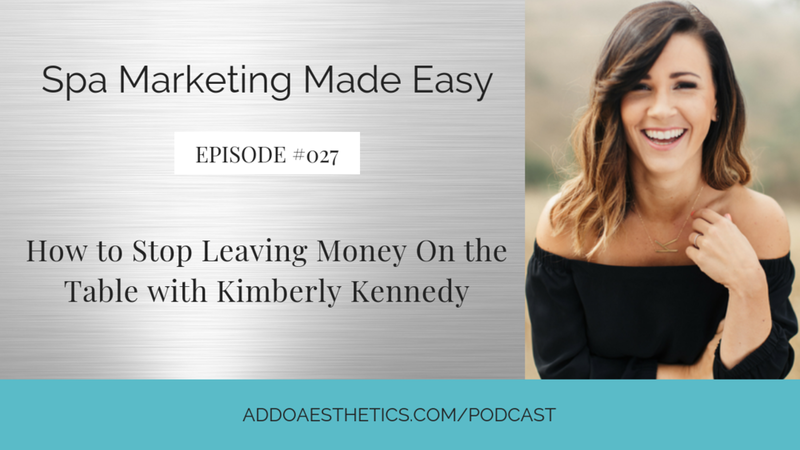 When Kimberly started saying “no,” putting up boundaries and raised her prices, she was able to shift from working full-time to being part-time, but with double the income. I should also mention she did this in a year. Now she has a business that fits into her life rather than the other way around. That wouldn’t have happened if she didn’t begin thinking and acting like a business owner first, so in today’s episode she’s sharing with us the mindset shifts and action steps she made to take the leap away from everyday hustle to working just a couple of days behind the chair and a couple of days coaching each week. Connect with Kimberly on her website and on Facebook and Instagram. Access Kimberly’s free resources library with business-building guides, tips, and videos by clicking here. Join the Spa Marketing Made Easy Podcast community where you can access monthly trainings, Q&As, tips and a community of like-minded business owners looking to grow.